That’s right, Hahn has come to the gluten-free party and launched Hahn Ultra Crisp- the revolutionary beer endorsed by Coeliac Australia. Surprisingly, over 6 million Aussies restrict gluten from their diet to some extent, whether it be that they suffer from coeliac disease, have an intolerance or for personal reasons. That’s a whopping chunk of the population who miss out on the thirst quenching and crisp good stuff. And now Hahn has resolved that. 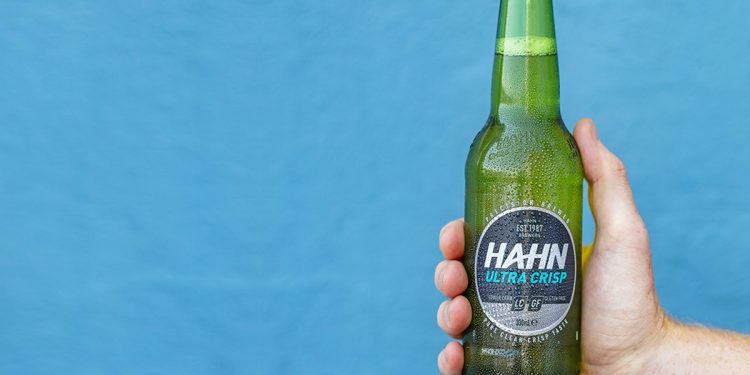 Hahn Ultra Crisp is a beer brewed entirely from rice – delivering a full-strength lager, that is lower carb, 99% sugar-free, preservative free and gluten-free. Created using a ground-breaking brewing process five years in the making, the lager is endorsed by Coeliac Australia as gluten-free and appropriate for those with coeliac disease while maintaining the core traits of a low-carb Hahn beer. But the real question, how does it taste? Hahn Ultra Crisp is described as a refreshing beer with light citrus aromas and a clean finish that holds its own when it comes to flavour. However, we had our trusted Beer Hunter on the case. He disclosed that the initial few sips tasted exactly like regular beer (a win for beer lovers) and that the only real difference was the aftertaste at the back of the mouth which was a little different to a regular Aussie Lager. He gave the new splash a 3/5. Hahn Ultra Crisp will be a permanent release and is available now from leading retailers around the country. It will have an RRP of $47-$55 per case and $17-$20 per six-pack. For further information please visit their site.